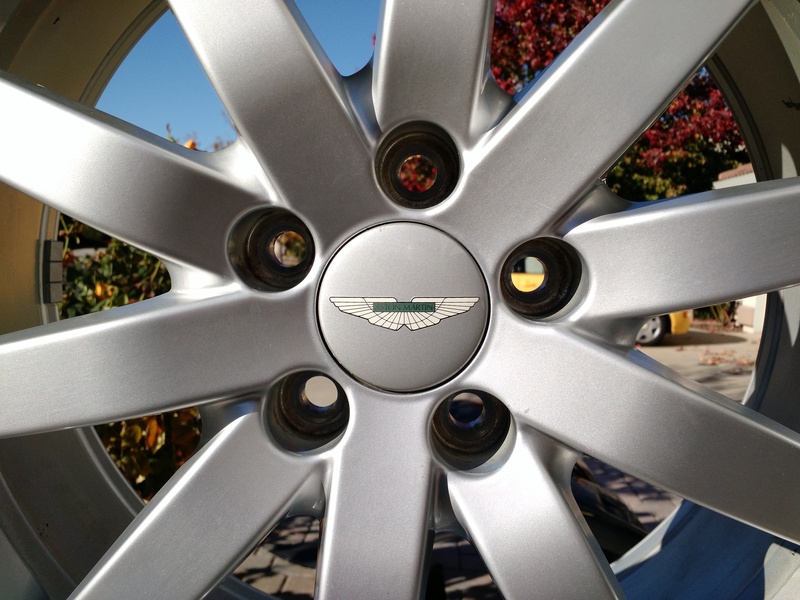 The DB9 comes with a beautiful set of OEM aluminum alloy wheels. They are a 10 spoke unit made by Speedline. 8.5×19 upfront and 9.5×19 in the rear. During normal washing of the car it’s easy to get the face of the wheel clean, but more difficult to get the large surfaces behind the spokes. Sure, you can use a wheel brush and do your best, but they are never perfect. Whenever I have a wheel off the car (for example during an annual service), I take the opportunity to clean both the inside and outside of the rims much more thoroughly. In the past I’ve used elbow grease and a pressure washer, but they just don’t get it all off and looking like new. Enter the magic of modern chemicals. I’ve had great success using Mothers Foaming Wheel and Tire Cleaner (available for about $8 from your local auto supply shop). The stuff is scary good. Lay the rim carefully face down (being careful NOT to do so in a manner that could scratch the rim). 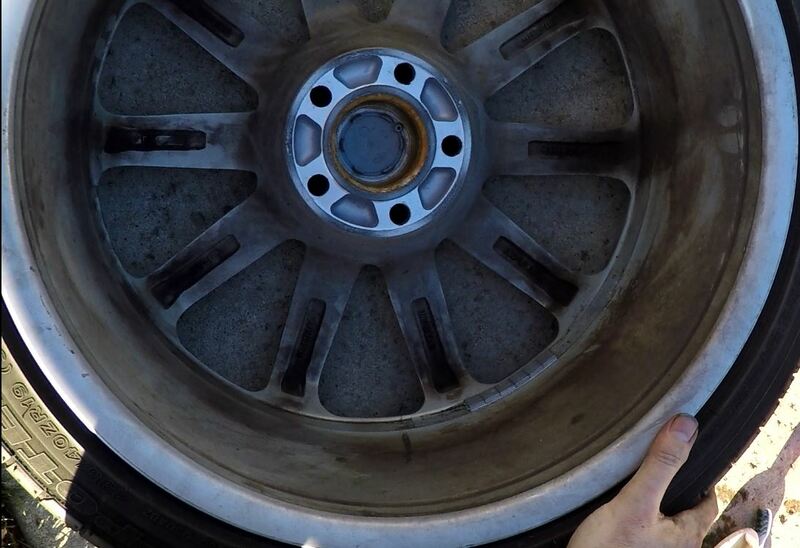 Spray the inside of the dry rim with an ample amount of Wheel Cleaner. Use a plastic scrubby brush and work the cleaner across the surfaces and into the nooks and crannies. It will do the hard work, but it helps to work it in a bit. Rinse with water. Voila! The inside is clean as new. Flip the rim over so face is up. Spray the face of the rim with an ample amount of Wheel Cleaner. Use the plastic scrubby again to get the flat surfaces. Use a proper wheel brush to get into the interior bits (see my video below). I even go so far as to use an old Tooth Brush and get into the five bolt holes (that you can’t normally clean). Rinse the wheel again front and back and you are done! Here is a short video on the process where you can actually see what crud builds up on the inside of the rim, and what magic the wheel cleaner performs. While you have the wheel off, you might want to perform the official Aston Martin Tire inspection (how to do this will be coming in a future post) and perhaps have the wheels professionally balanced at your local tire shop (definitely worth doing at least once per year).